You will receive the alphabet and numbers in 1", 2", 3" and 4" sizes. 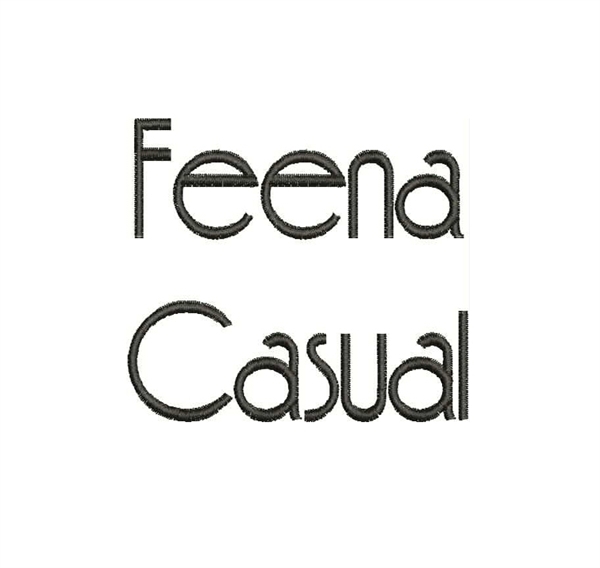 Casual and retro looking alphabet. 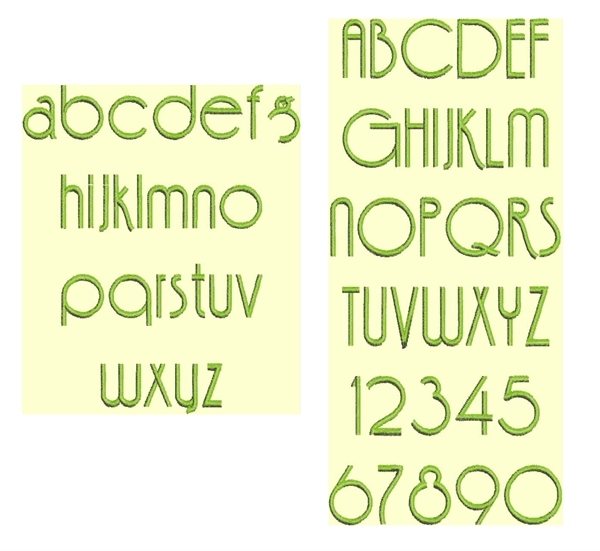 Each letter is its own file and you will need appropriate software to combine the letters into words. 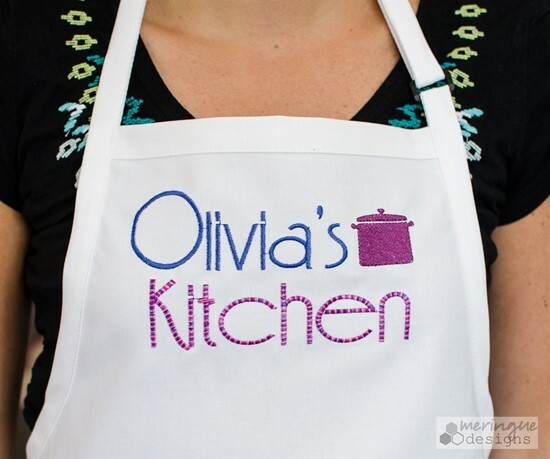 Note: The pot on the apron is from the Kitchen Items pack. Click here. 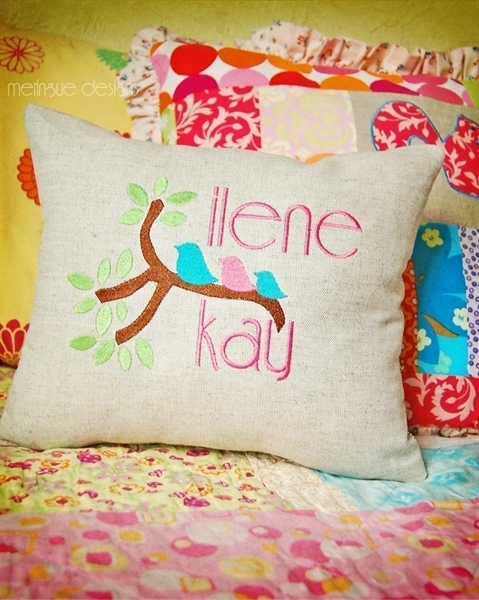 The Ilene pillow also uses the Bird Family pack. Click here. 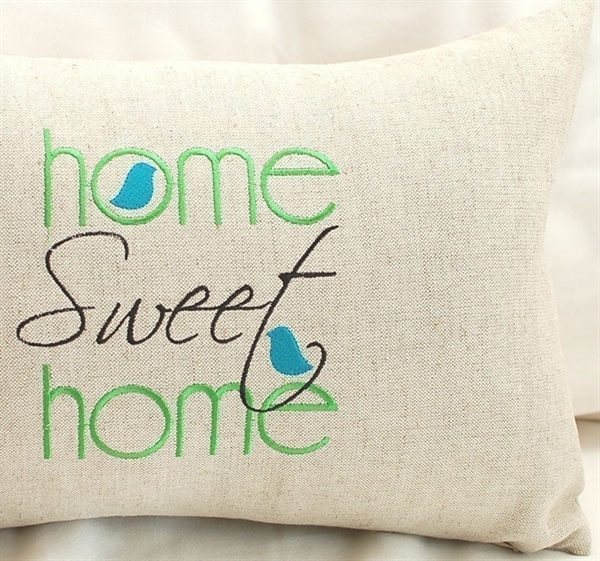 The Home Sweet Home design uses Feena Casual for the words "home" but can also be purchased here.